Homeschool conventions are great places to learn from and fellowship with other homeschoolers. Here are some places you can find local, regional or online homeschooling conventions. I just attended our local convention for the 6th straight year, and I hope to attend many more in years to come. It is energizing to stand in a room full of people who share my family's values and convictions. I also love getting new ideas from other homeschoolers and looking at new products in the curriculum fair. Local conferences are often sponsored by state homeschool organizations. They are popular with homeschoolers because they are inexpensive and more readily accessible than regional conventions. 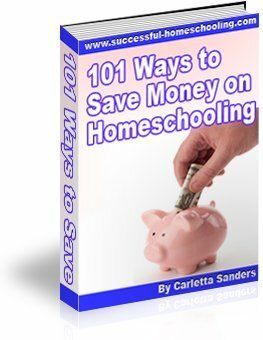 They are also a source of financial support for organizations that advocate for homeschool freedom. If you are looking for an event in your area, below is a list of conferences by state. Regional homeschooling conventions can provide homeschoolers with access to a wider range of vendors, speakers and entertainers. These events make great family getaways for homeschoolers who have extra wiggle room in their budgets. This year, my entire family drove to Tennessee for the Mid West regional convention. We enjoyed hearing from homeschool advocates we've long admired, and browsing the many product offerings in the vendor fair. You can visit Great Homeschool Conventions to find a regional conference near you. Thanks to the internet, any family with a computer, speakers and an internet connection can attend workshops and fellowship with other homeschoolers right from the comfort of their own homes. In addition to saving time, online conferences help families save money on travel, hotels and meals on the go. Two popular providers of virtual homeschool conventions are Heart of the Matter Online and The Ultimate Homeschool Expo. Whether attending an online, local or regional event, good planning is essential! Here's my guide to surviving and thriving at homeschool conferences. Please contact us if you know of any homeschool conventions we do not have listed.